Nights At The Roundtable with The Kinks, live in session at the BBC 1964-1969. Hitting very familiar territory with The Kinks tonight, starting with their first major worldwide hit, You Really Got Me recorded at their first session for the BBC in 1964. 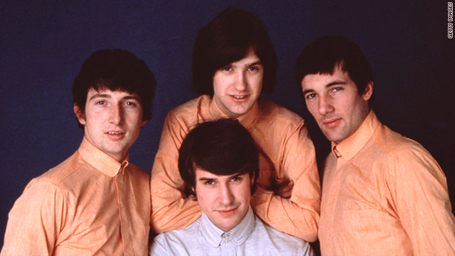 Unlike many of the artists I've featured on this series of groups in session, The Kinks have always had a huge popularity worldwide - even though there were peaks and valleys during their career, The Kinks have always been recognized as one of the premier bands in British Pop music, and the songwriting of Ray Davies as one of it's foremost contributions. So this batch of songs, spanning sessions The Kinks did at The BBC from 1964-1969 begins with You Really Got Me, quickly followed by Cadillac, the classic Waterloo Sunset and ending up with Did You See His Name. A five year mini-retrospective from one of the truly legendary bands of the past forty years. If you don't mind - it's really needed.